Use sharp knife to cut through onion cells that release acidic gas. Cut onions after placing them under water. 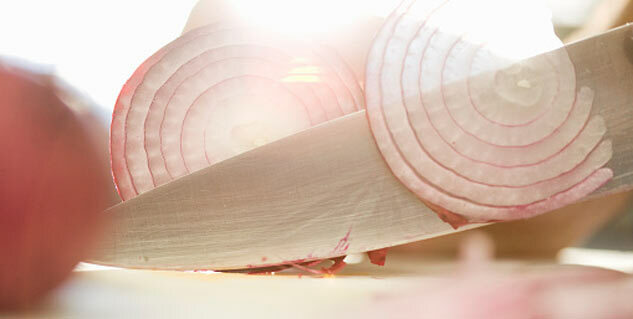 Chill the onion in the freezer for 10-15 minutes before slicing. Stick your tongue out and breathe through your nose.